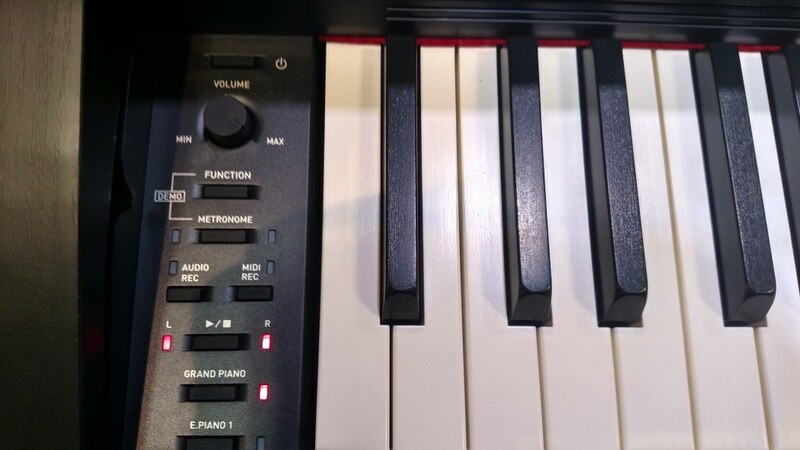 🎹 UPDATED REVIEW - April 10, 2019 - Casio PX870 Digital Piano (internet discount price $999US). So...what does a top digital piano manufacturer do to improve a previously popular model called the PX860 that had been out for quite awhile? Well...of course you try to make it even better, so the question is, did Casio do that with the new PX870 which is the replacement of the now discontinued PX860 and a huge upgrade over the older Casio AP260? In my opinion the answer is an overwhelming...YES, the older models don't come close to this new upgraded model. The 2019 Casio PX870, available in both matte black, matte brown, and matte white is normally sold at $999 internet discount price, has some big improvements over previous models but retains some of the popular features from the prior discontinued model PX860. Important features on the new model include a back privacy panel on the cabinet, sliding key cover and compact size. But the PX870 model now has an improved piano sound sample which has been upgraded in realism and piano dynamic range & expression along with the larger sustain pedal decay volume & decay time having been obviously improved and lengthened which is a welcome change, especially for those pianists who play at a more advanced skill level. On top of that the internal speaker system has also been upgraded in a way that projects the sound out of the piano in a more natural way which no other piano in this price range has done before. So for $999US this new PX870 is quite impressive to me and the winner in a furniture cabinet digital piano in this price range over any other brand or model as far as I am concerned, and I have played and examined them all including this one. With regard to the Casio company, just about everyone knows that name for every day consumer electronic products such as calculators, watches, cash registers, projectors, electronic keyboards, and many other items for the last 60+ years. 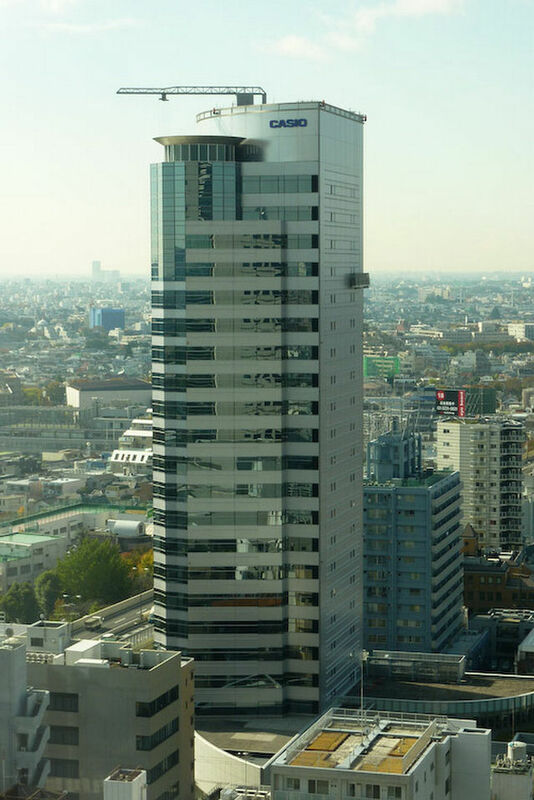 Casio of Japan is a large world-wide company which has the reputation for packing a lot of cutting edge technology into reliable low priced products that give you a "big bang" for the buck. With their home & pro digital pianos they do the same thing and it just keeps getting better every time they come out with a new model. 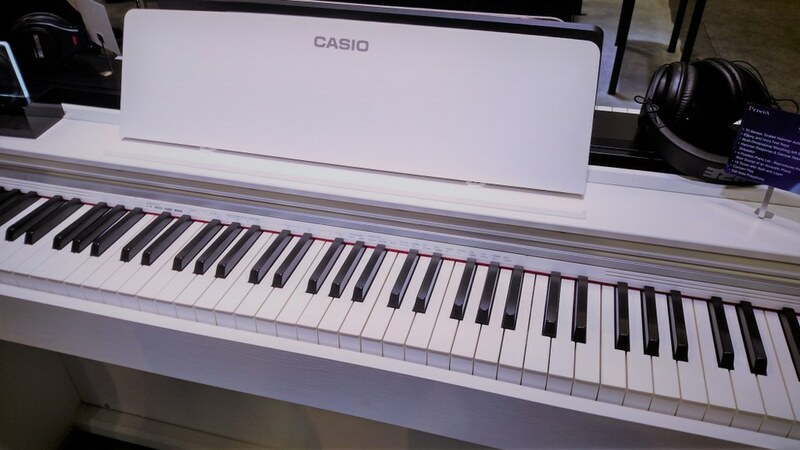 Unlike Yamaha & Kawai, Casio does not produce regular acoustic pianos and unlike Roland they don't produce high priced electronic pro keyboards, guitars, drums, or other high end music gear. But what Casio does well in my opinion is make great innovative and competitive digital pianos for very low prices using the latest and greatest technology in a way that no other digital piano company has done so far under $1000. So when it comes to getting the most bang for your buck I can tell you right now that based on my playing experience with this model, everything I have seen & heard on the 2018 Casio PX870 in its compact furniture cabinet is very impressive. The PX860 may still be available at places on-line but with the price of the two models being just $100 apart right now I see very little reason to purchase a PX860 and instead I would definitely recommend the PX870 being the better option for sure. 1. The piano sound is better than the PX860 because the piano sound chip was upgraded to be even more natural like a real piano with better expression and more organic piano tonal elements than before. You can really tell the difference if listening to both models. Also there is one more acoustic piano sound added along with some of the non-piano instruments that have been re-voiced and improved for greater authenticity. 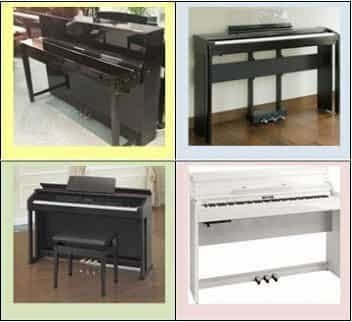 The stereo strings, choirs, harpsichord, electric pianos, etc, really do sound good and are a joy to play especially as compared to other digital pianos in this price range. 2. The sustain pedal decay time has dramatically improved so that when you hold down the sustain-damper pedal you will hear more sustain volume and noticeably more sustain decay time than ever before and when that happens you get a more organic & natural piano sound particularly when playing legato and using more sustain pedaling. 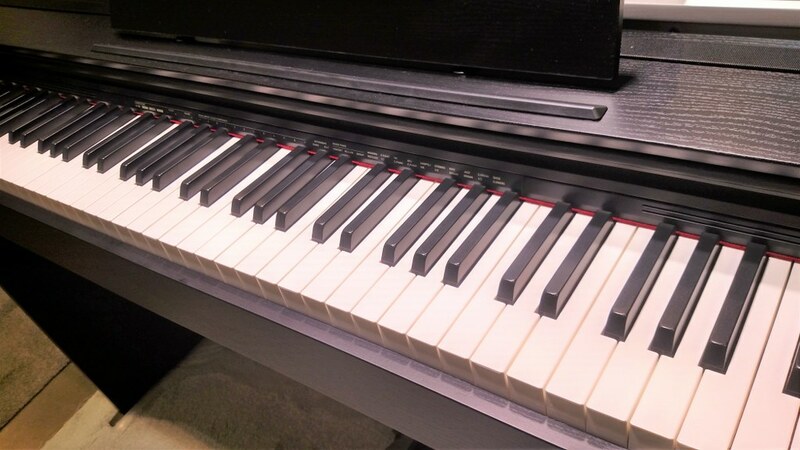 The notes of the piano sound mix together more evenly and produce a smoother and more balanced tonal expression across the entire 88 keys that was not able to be achieved on the previous PX860. 3. The speaker projection system has changed on the PX870. The former PX860 had a hinged lid where part of the lid could be propped up so the piano sound could come out of the piano top. That was a very good idea but the down-side was that with the lid propped open, you could not rest any music, music lamp, or any other items on the piano top because they would fall off. 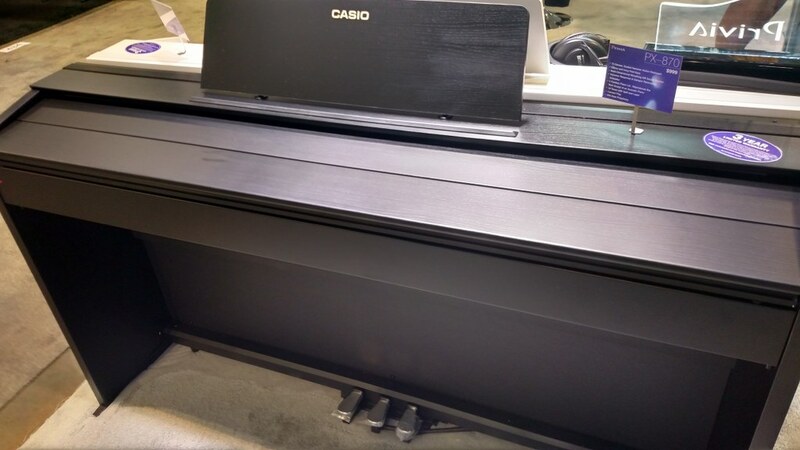 Casio designed a new speaker projection system that allows the piano sound to come up and out of the piano top without the need of a lid. There is a brand new speaker system in the piano that diverts part of the piano sound up and out through a long but narrow speaker grill that goes the length of the piano top and is inset and flush with the top. It's located more towards the back top of the piano. The piano sound is also projected forward through speakers in the piano. In this way there is better sound disbursement and top remains closed so it has a sleeker look, no more hinged lid like the previous model that could potentially break, and you can put things on the piano top without those items sliding off because of the previous models' partially raised and tilted lid. These are very well designed improvements that upgrades this new model in a noticeable way. 4. The synthetic ivory white keys have been re-textured with a new material that brings the touch/feel of the keys even closer to that of the popular natural ivory acoustic pianos of past years...a noticeable improvement with a smoother feel. 6. A Volume Sync system has been added to the PX870 which allows the piano to have better low frequency response when playing the piano at lower volumes which is a good thing. This type of electronics has been available in digital pianos before but not in this price range. 7. The cabinet has been upgraded to look better with fewer seams in the case as compared with the previous model and the control panel buttons have been re-positioned to the left side of the keyboard to make the piano look simpler in design and less cluttered than before. Also the physical cabinet assembly process is more intuitive than on the previous model with cabinet parts able to be connected more easily. 8. Casio also has a new proprietary iOS/Android app for the PX870 called "Chordana" which allows the piano to be connected to the app on your iPad for further (and better) control of functions & features. 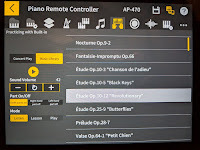 The PX870 controller app makes using the PX870 a breeze as compared to using previous models and trying to figure out how to access many of the piano features. Now those functions can be accessed on the PX870 using your tablet color touch screen with a very intuitive app with many screen/page choices to control all of the major functions of the piano like never before in a Casio digital piano. 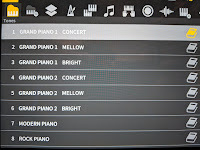 Other digital piano brands have controller apps as well, but the Casio Chordana seems to be much more advanced and also includes some educational music games, song playing features, and PDF sheet music scores of the many built-in piano songs within the PX870. If you do not have a digital tablet (like iPad, etc) then the new PX870 would be a good excuse to get one! 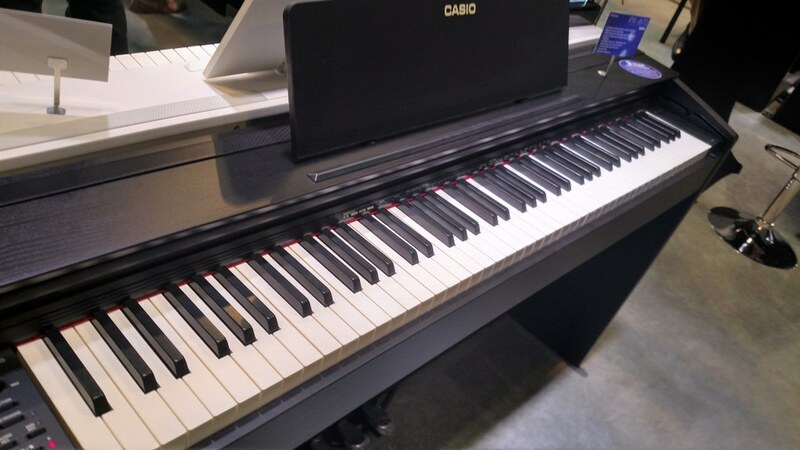 As far as the the rest of the piano goes, and especially with the key action, Casio has kept their popular 3-sensor per key-weighted-graded piano style key action in the PX870 which was also in the former PX860. I believe they're doing this because so many people who owned the PX860 really liked the key weight, balance, and movement of that key action so it has not changed. 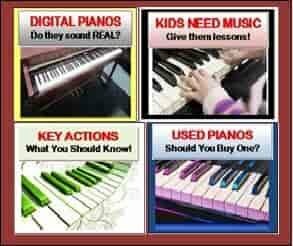 When it comes to shopping for a new digital piano, the key action should be considered the most important part of the decision making process for most people including piano students. Personally I like the Casio key action better than most other cabinet piano under $1000US internet price and it feels like an acoustic piano in a number of ways. Be aware that no digital piano in this price range actually feels exactly like a real acoustic piano, but this one comes pretty close and for most people, including advanced players you can take your music pretty far on this new piano. A big advantage not offered on other digital pianos in this price range is the 256-note polyphony piano sound processing technology. More polyphony note processing power helps to keep notes from electronically dropping out when playing difficult & musically complex passages along with being able to layer two sounds together and using the damper pedal without note dropout when playing multiple notes together at the same time. Also, like many name brand digital pianos including Yamaha, Kawai, and Roland, the PX870 offers the "half-damper" pedal sustain feature with pedal resonance effect which helps recreate the real acoustic piano pedaling damper/sustain sound for more intermediate to advanced piano music. For those students and recreational players who are at a more beginner skill level, they will have something to grow into instead of grow out of, and because of this your piano teacher (assuming you have one) will be happy too. Casio has included in the new PX870 another popular feature from the prior model PX860 which is a music library that consists of 10 orchestra classical songs (plus more you can download from an internet site) which you can play along with using the piano sounds from the piano. The 10 songs are in an audio wav format (recorded from an actual live orchestra) and it sounds just like a real recording of the instruments as you would have on a regular CD. The 10 songs are standard classical music and although they are fun to play along with and do sound good, you would need to be able to read music (or play by ear) and play along at the song skill level so that you could interact with the music properly. You can slow down the songs a bit which is helpful for learning, mute either right or left hand sound to play-along with and also do a few other things with the orchestra accompaniment which are helpful for learning. It's a very cool feature and sounds good but there are only the 10 built-in songs available which are all in the classical category. 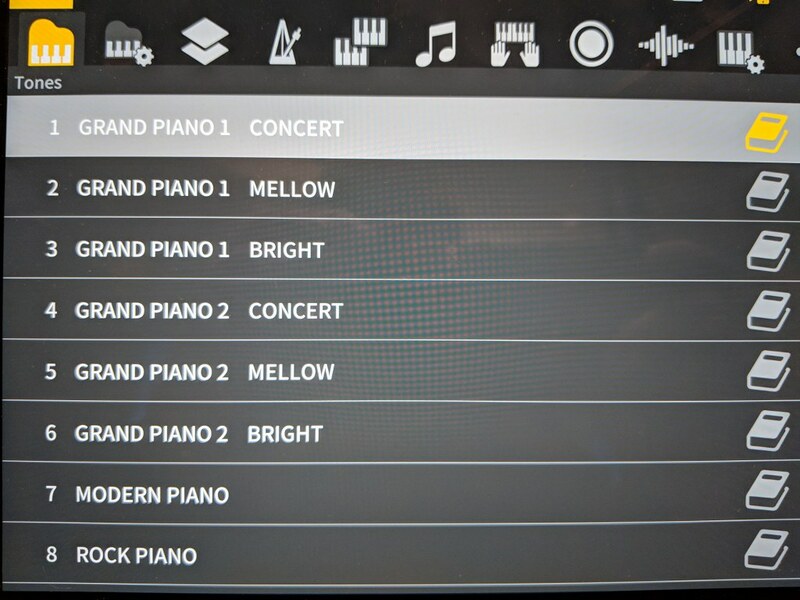 The PX870 also has 60 built-in well known classical piano songs that you can play along with using the new Chordana app and also displays the sheet music to those songs. You pretty much have to know how to read music at a bit more advanced sight reading level for those songs to play them accurately, but you can also just play along by ear and have some fun doing it that way. Another impressive feature that Casio has included in the PX870 is "wav file" audio recording like they had in the previous model. This features allows you to record yourself as an audio recording (CD quality) and save it to a USB flashdrive in the piano. Then you can take that recording in the flashdrive and play it back on the piano and also plug the flash drive into your computer and play it back there. You can also email that song to your friends and relatives so they can hear it on their computer just as you played it. Nice feature to impress your friends and relatives and you can convert that file to MP3 on your computer for posting on social media sites. Beyond that, you can import that music into computer music programs for music education, composing, song arranging, etc for further musical interaction. Another very useful recording and playback feature is the 2-track left & right hand MIDI recorder. This feature enables the student of player to record their left and right hand parts independently from each other and then you can play either part back and play the other part live along with it. This is just like a teacher would do it playing one hand while the student plays the other hand. Now you can do the same thing all by yourself and slow down playback tempo while practicing your parts...very cool. As I mentioned earlier, the new Casio PX870 "piano top" audio projection system is a very innovative feature not found on any digital piano I know of under $1000 (see pic on left). The piano sounds can rise out of the top of the piano at all times through a special top speaker system with sound coming through a speaker grill at the top back portion of the cabinet going the length of the piano top (see left pic) rather than be on a hinged lid like the previous model. This allows for a continual projection of the piano coming out of the piano like a grand piano would do through its open lid. The downside of the previous model hinged lid is that you needed to prop it open on an angle and then could not rest anything on the top of the piano like a music lamp, sheet music, or other objects because they would fall off. Also the extra sound could only be heard by the "player" and not coming up into the room. In my opinion this new sound projection speaker system gives the player and listener a more realistic piano playing and listening experience. The internal 40 watt 4-speaker sound system is heard more like a baby grand would be with the top opened up. The overall sound on this model can be quite loud and resonate so there is no need to attach external speakers to this piano in my opinion and the volume and quality of sound from the piano will easily fill up a big room. 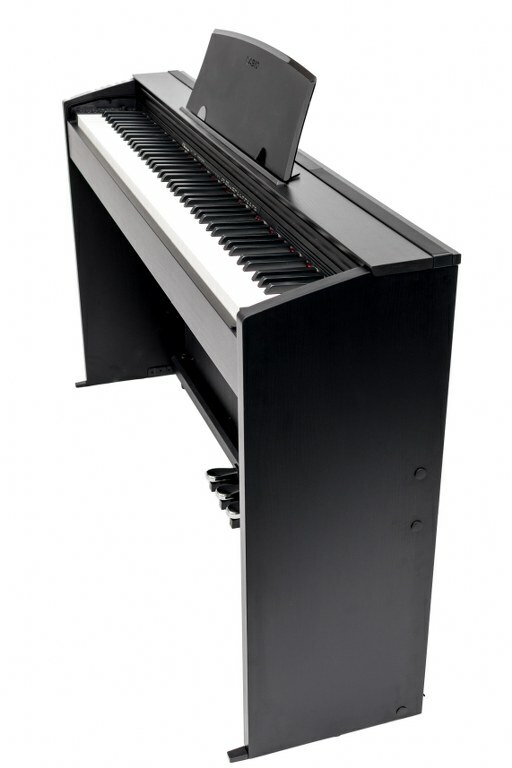 Other features of this new piano include split & layering of instrument tones, an adjustable digital metronome for rhythm & timing training, key touch sensitivity adjustments to personalize your playing, duet keyboard function allowing for two people to play at the same time, and other useful features including two stereo headphone jacks for two pairs of headphones so you and another person can have private practice. One thing I was a bit disappointed about on the PX870 is that it does not have something that the former PX860 did have and that feature is the audio line output jacks. This type of connectivity can be important if you want to connect your piano to an external sound system through dual mono outputs to send the stereo signal out that way. On the PX870 you instead can connect from the piano to an external sound system via one of the stereo output jacks so it can work that way. On most digital pianos if you connect in that fashion then once you are plugged into the headphone jack then the internal speakers of the piano shut off which is very inconvenient. However, Casio has wisely included a special speaker output mode on the PX870 that you can activate which will keep the internal speakers on even if a headphone jack is being used...and that's pretty cool. It is important to note that the PX870 (like the former PX860) piano does not have built-in drum rhythms, automatic chords, music styles, hundreds of instrument sounds, multi-track General MIDI song playback, LCD display screen, or other so-called "bells & whistles) that can be useful to some people (such as is on the Casio PX780 $899US internet price), but it was not designed to be that way. The PX870 is focused primarily on the piano playing experience and is a very impressive piano for its price, especially as compared to any other digital piano brand or model near this price range whether you are a beginner student or more advanced player. 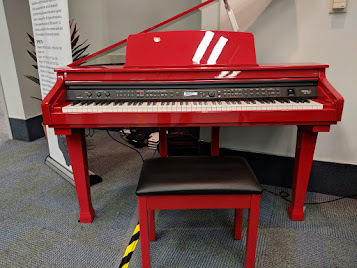 If you want some additional interactive features for the PX870 you can easily connect to an iPad (iOS device) and experience some very cool interactive piano educational & fun technology that way which both adults and children will enjoy. I use that feature (iPad apps) all the time in my teaching studio and my students love it and it helps motivates them to want to "practice" more often and that's normally a challenge for many students to do:). Speaking of educational apps, as I mentioned earlier, Casio has just come out with their own extensive iOS and Android app for the PX870 digital piano called Chordana Play which, for the first time in the Casio company history, allows users of their newest digital pianos, including the PX870, to control many of the most popular features in their new digital piano directly from a mobile or tablet device connected to the USB output of their digital piano. Until now on Casio digital pianos, controlling the sounds, built-in songs, and digital features such as layering, recording, etc had to be done from the piano control panel. Although this is a fairly intuitive process on Casio pianos overall for many of their functions, there are some features that are not as as intuitive to use and this is true for the other digital piano brands as well. So Casio has PX870 features that can be directly and remotely controlled from your tablet or mobile device using the app's very cool user interface from your device color touch screen along with other features in the app such as educational games, sheet music, and a number of other things that exist in Chordana Play. 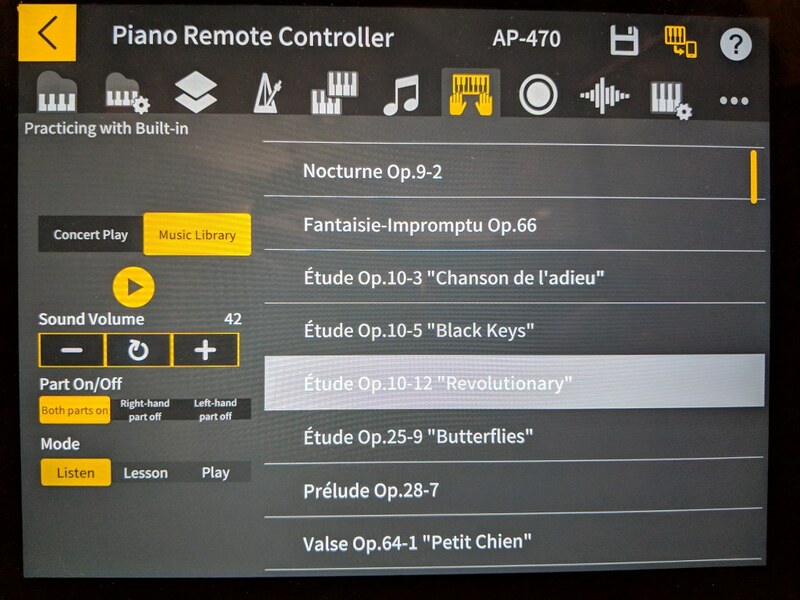 Having this new controller app along with what you can do on the piano without the app makes this new PX870 fairly unbeatable in my opinion, especially given its lower price under $1000. This digital piano has a big, loud, bold piano sound which can replace a regular upright piano along with enough digital features to make the learning and piano playing experience fun and gratifying for most people seeking a quality instrument in a low price range. Speaking of low prices, in the distant past I would have also recommended that people consider buying a good used acoustic or digital piano instead of a new one. However, the digital pianos out now like the Casio PX870 are so improved and relatively inexpensive that it makes buying a used acoustic or digital piano almost a non-issue in my opinion, and I play & own acoustic pianos in my studio. 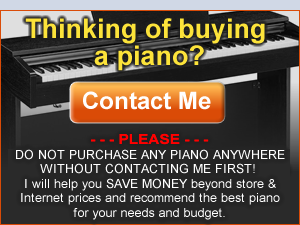 Plus, you take a risk when you buy a used piano because it is purchased "as is" and you get no factory warranty. There are always risks buying anything used because there are no guarantees they will work properly or stay in tune for very long assuming it's an acoustic piano (yearly tunings are expensive). 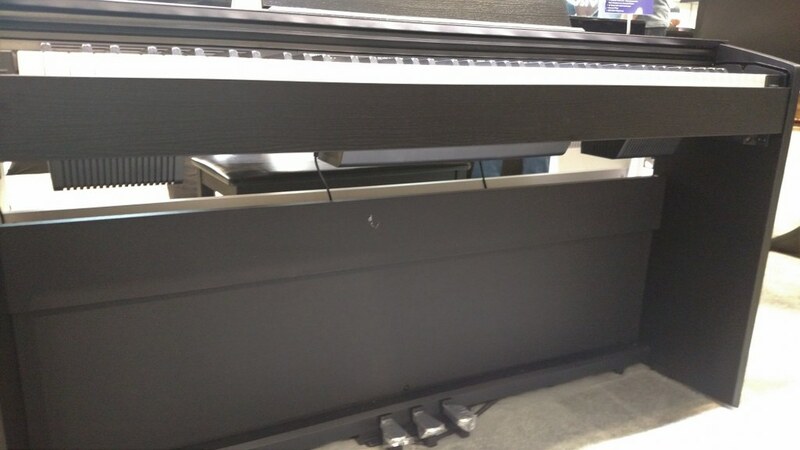 So do yourself a favor, if you are looking to keep the price near or below $1000US price range, other than cabinet design which is always a subjective choice, as far as piano playing goes, in my experienced opinion the new Casio PX870 is a clear winner in this price range for a furniture cabinet piano that is reliable and comes with a long 3 year factory warranty and also has vibrant piano sound, very nice piano key action, good pedaling functions, and enough extra features to keep you busy for many years. 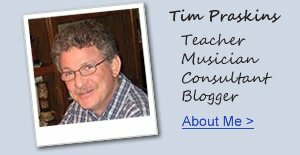 If you want more info on new digital pianos and even LOWER PRICES than internet discounts, please email me at tim@azpianowholesale.com or call direct at 602-571-1864. Hello Tim, thanks for such an amazing review. I am between the Casio PX870 vs Kawai KDP90?. The main two features I am looking for include a realistic key action and sound. Which one would you recommend for a beginner? Thanks a lot. JC. I am very interested in this Casio! I have a Kawai es110 now and am wanting something in a cabinet with more volume and fullness in sound. I do have a question however. I am aware of the price difference but am wanting to compare the px870 with the Yamaha ydp163, another model I am currently interested in. The Yamaha certainly does look prettier but will it sound better? Thanks for your help. Hi Tim. Do you know if the panel lock is persistent, i.e. will remain in effect after a power-cycle? This turns out to be an important feature for me. I have a 4-year-old son who will be distracted with the buttons. The Kawai ES-8 has persistent panel lock, but a lot of others will lose the lock after a power-cycle. no, that feature needs to re-selected when the unit is powered up again. Maybe Casio will upgrade that function at a later date but I don't know. Hey Tim, you mentioned you use Ipad apps for learning in this review, Which ones do you use or would recommend? thank you. How does this compare to the Roland 501R? I like the Casio feel of the keys and I hear that Roland is similar. I also like how the Roland has user upgradable firmware. I guess I want to know if it compares well with this model? What is the difference, if any, between the PX870 and PX870 BK? Hello! Would you recommend the PX780 or the AP260 for a ~$1000 digital piano? definitely the PX780. Way more for the money the the AP260. Some years ago you helped me choose a Casio PX850 which is working fine but would the PX870 be an upgrade? I'm more concerned about which would feel more like an acoustic and be more accurate given an acoustic piano is not an option. Thanks!